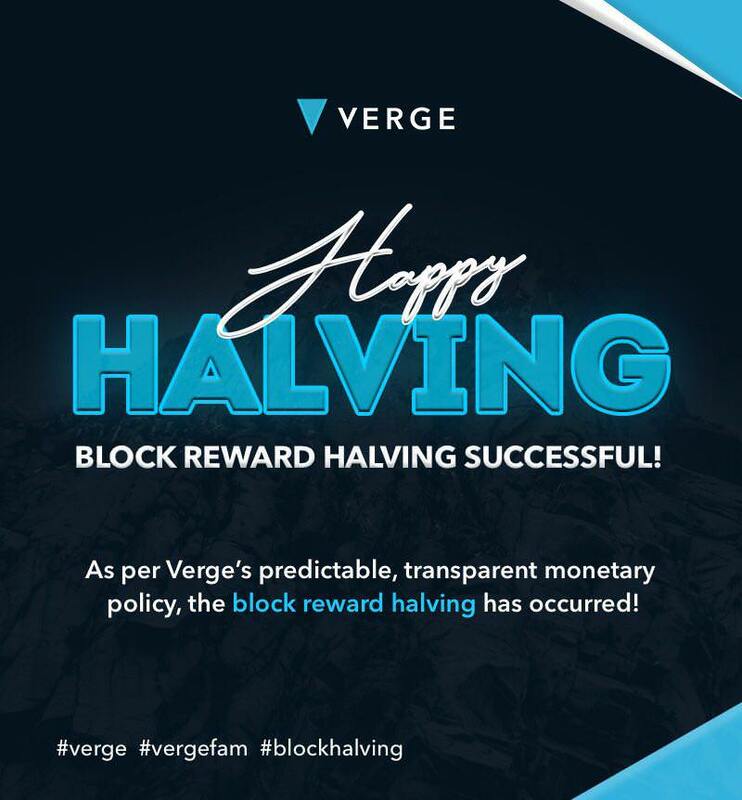 Block 2.124.000 has officially passed and the block rewards have been halved! It means that whenever miners mine a block they will receive less Verge as a reward for mining it. But doesn't that mean less people will mine Verge? Yes and no. Initially some miners will stop mining Verge, but that decreases difficulty, wich in return brings back other miners that find it profitable to mine Verge. Longer term the price of Verge will increase because less XVG are minted. Verge listed on two more exchanges Gate.io & Bitbns! It's hard to keep up but Verge has been added to two more exhanges and a big vendor! Both of these exhanges are medium sized currently. You can already see that Verge is very popular on Gate.io when you look at the trading volume of the exchanges here. Bitbns is the leading exchange in India and is growing rapidly. They have just listed Verge so trading volume is at the time of writing not shown yet.